Microdermabrasion is a popular tool in the pursuit of turning back the clock. At Spring Mist Spa, we specialize in Microdermabrasion treatment for all skin types. Just below the surface of your skin lies a face that’s a little softer, smoother and younger-looking than the one you currently wear. It’s microdermabrasion’s job to uncover it. The process is simple: exfoliate away a substantial portion of the outer layer of skin known as the stratum corneum, which often holds age spots, fine lines, and textural irregularities caused by years of acne and other environmental factors. Microdermabrasion not only buffs away the old skin, it also sends messages to the cells that they need to regenerate faster, producing a fresh new surface. Over the course of several treatments, skin can become markedly smoother and brighter. There is no downtime with Microdermabrasion treatment. For best results, we recommend a series of five to eight treatments. Ask about our package special prices. Is Microdermabrasion an effective treatment? Yes. 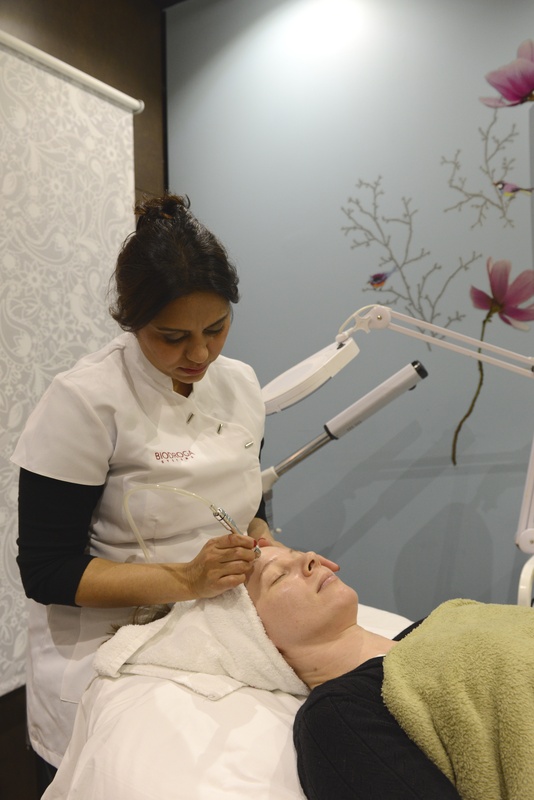 Microdermabrasion has been proven to be very effective against a range of skin conditions. This includes age spots, fine lines, textural irregularities caused by years of acne and other environmental factors. Microderm is not effective against skin problems that go deeper into the skin such as scars, stretch marks, deep wrinkles, or deep acne scars. At Spring Mist Spa however, we do have other treatments which are effective for many of these conditions which microderm doesn’t address. Is Microdermabrasion a safe treatment? Microderm is a non-invasive, safe and common treatment. How long does it take to see the results of Microdermabrasion? Results can be seen even after the first treatment. However, to see more obvious results, we recommend a series of 5 to 8 treatments, scheduled 10 to 14 days apart for most clients. To remove acne scars and or discolorations, you may require additional treatments. Once your initial set of treatments is completed, you may require maintenance treatments every 2 or 3 months to maintain results. microdermabrasion or chemical peel – What is better ? Chemical peels and microdermabrasion both exfoliate your skin in order to improve the appearance of skin imperfections. Microderm is a mechanical procedure and peels are a chemical procedure. Microderm works best for superficial skin imperfections such as fine lines and wrinkles. While chemical peels are better for more serious skin conditions such as deep wrinkles and acne scars. At Spring Mist Spa, we will examine your skin and recommend the appropriate treatment for you.